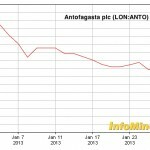 Chilean copper miner Antofagasta PLC (LON:ANTO) hit a four-month low Friday on worries that increasing costs would eat into its premium rating, reports FT.com (subs. required). The company, property of the Lucksic family —one of Chile’s richest— has dropped 10% since warning Wednesday that this year’s costs will be higher than expected. At 2:55 pm GMT Antofagasta shares were trading at 1,149. The company said higher power bills and poorer metal grades at its Esperanza and Los Pelambres mines were to blame for both the upcoming fall in copper and gold output and the increase in production costs. 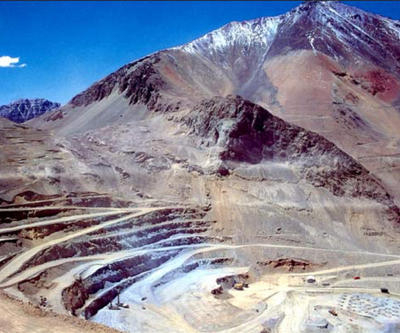 Jean-Paul Luksic, the firm’s executive chairman and son of the founder, billionaire Andronico Luksic, told Estrategia (in Spanish) that it was precisely mounting costs what forced the firm to suspend work at the Antucoya copper project in December. 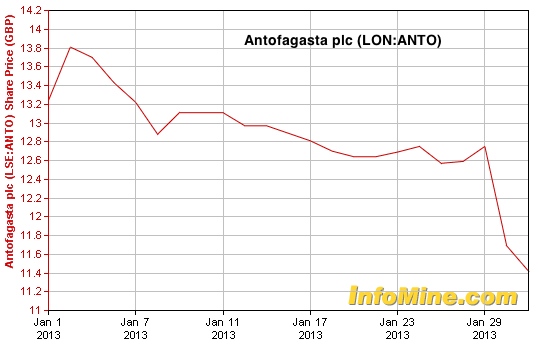 This left FTSE 100 Antofagasta without one of its biggest growth project in development. FTSE 100 is the index of the UK's largest 100 companies, and it is considered a key indicator often referred to by financial experts. The Luksic family owns more than 60% of Antofagasta, which has exploration and mining ventures in Europe, Turkey, Australia, Africa and across the Americas and annual revenues of $4.5 billion.